I’m Simi, Junior Web Developer at Localgiving. We have been working on making improvements to our Search Interface. We’ve thought very carefully about how to improve the way our users will interact with the platform on both desktop and mobile devices. You can now search from the home page and you will be taken straight to the new search page where you’ll immediately find the results. This will save you the time it would take to navigate to different pages. You can see all the results neatly packed in the sidebar of the page while still having a full view of the map. Your results will be split between 4 tabs located at the top of the sidebar (similar to the old search interface). From here you can navigate to the charity page or make donations directly to your charity of choice. 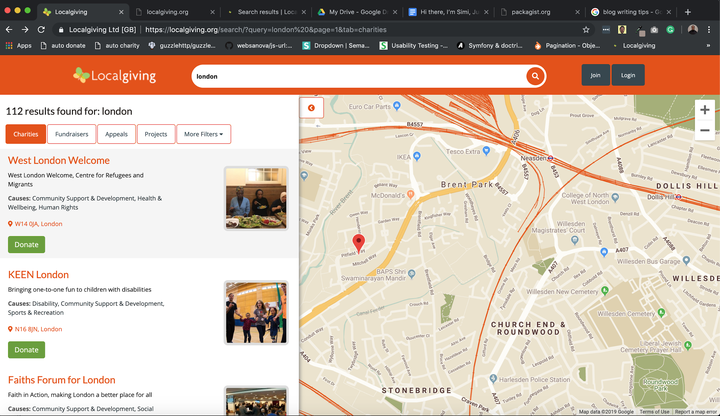 To get a better view of where charities are on the map you can use the orange arrow button by the side of the sidebar to toggle the search results siderbar open and close. Results can be narrowed down by area and causes using the filters tab. 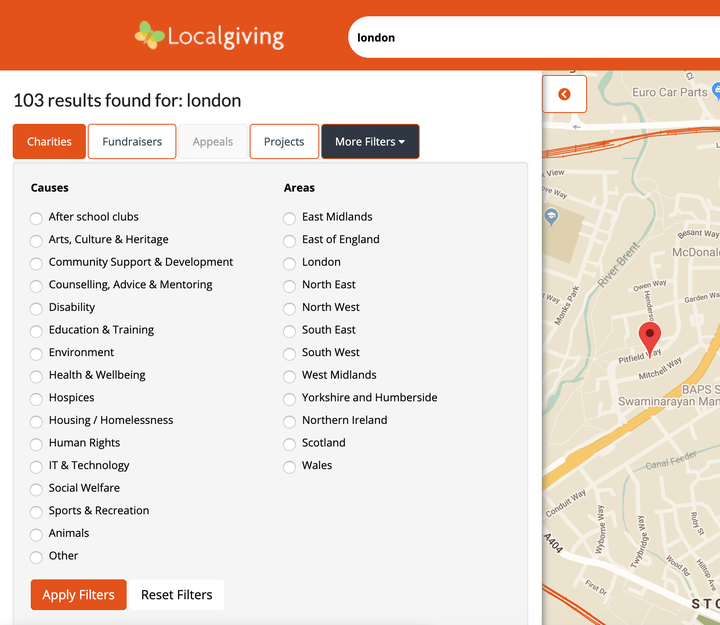 We always want to provide our users with the best experience on Localgiving. We are therefore looking forward to getting feedback from you so that we can continue to improve the site!